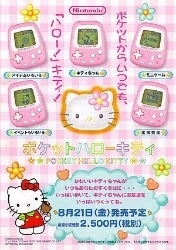 This is a pedometer pet in that you do not raise it like you would a regular character on a Tamagotchi. It has a motion senser to sense how many steps you are taking when you are walking. The more you walk (or just shake the pet), the more points you will build up. I haven't played with this one very much, but when I was using it the Kitty would send me little notifications to tell me to stop and take a rest lol I guess I walk too much haha You can also get her items and change her outfit. 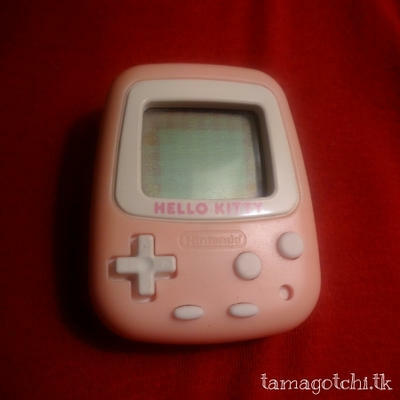 This one is much like the Pikachu Nintendo Pedometer pet. It is unique in that it has blue pixels. 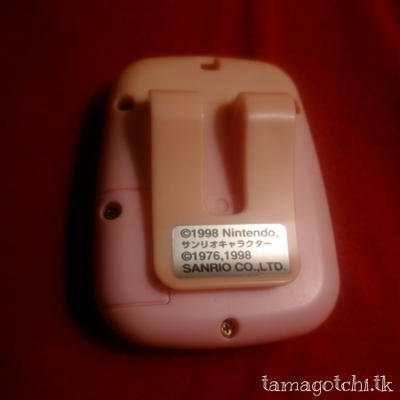 It also has a clip on the back so that you can attach it to your purse or clothing. It has cute, soft beeping and rubbery buttons. Unfortunately, I think it gets sun damaged kinda easily. I'm not really sure what the goal of this pet is other than to build up points through steps and buy it items *shrug* I will have to explore it a little further in the future. I got mine for $15 used, but when they are brand new in package they can go from anywhere between $40-150. Wait it out for a good deal.